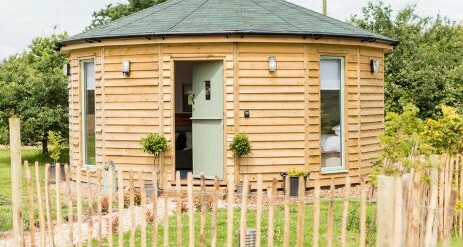 Escape to the countryside and enjoy the peace and quiet in Bay, a circular yurt-style lodge with private hot tub. 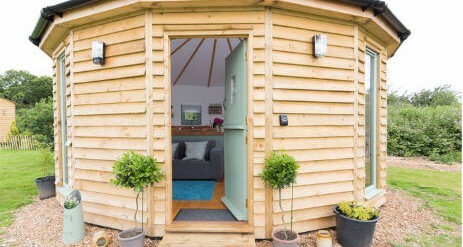 Set in a rural setting, making you feel miles away from home, it makes a perfect getaway for your romantic glamping experience. 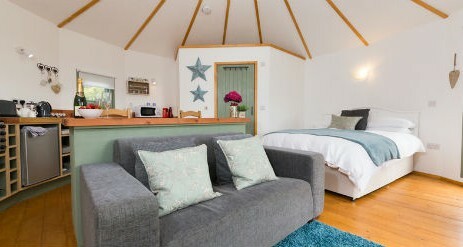 The beautiful open plan design gives the lodge a bright and welcoming feel where you will relax as soon as you walk in. 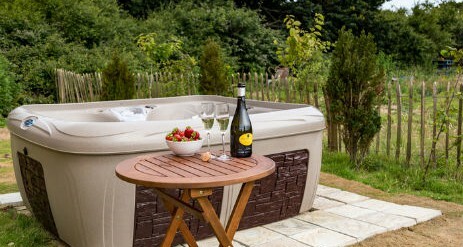 When the sun is shining, take in the scenery of the great outdoors by stepping outside and dining al fresco or why not enjoy a dip in your very own private hot tub. 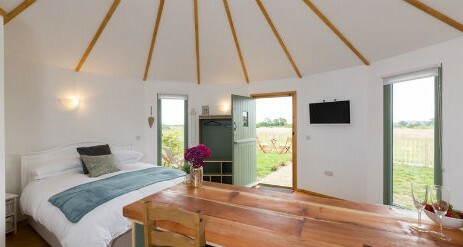 As you unwind in your hut with a glass of wine, leave the top half of the stable door open and let the country views inside. 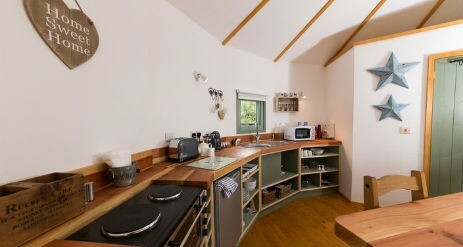 Buttercup Barn Retreat resort is situated in the Wootton countryside and is just a short drive from the town of Ryde and the sailing resort Cowes. 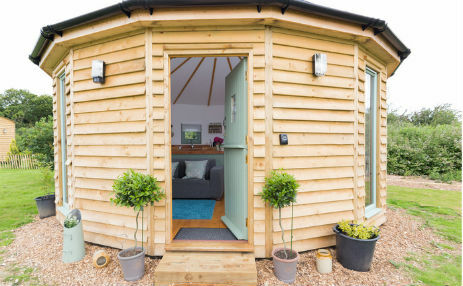 On the days you feel like taking an adventure, you are sure to find some of the Isle of Wight’s most popular attractions closeby.